and with all God’s Creation. We Sisters of St. Joseph are women receptive to the stirrings of the Holy Spirit of Love. Together with our associates we are called to live in right relationship with all creation. We are a community of women whose mission is to realize the prayer of Christ that all may be one. In community and prayerful contemplation we listen to this Spirit and move always toward profound love of God and love of neighbor without distinction. If every age has its own paradoxes, seventeenth century France in which we had our beginnings was certainly no exception. On the one hand, it was an age of hierarchy and order, a period dominated by classical harmony and external propriety. On the other hand, this century had seen thirty years of war (1618 – 1648) which left in its wake a population reduced to a struggle for existence. Widows and orphans, especially, suffered from famine, disease, and poverty. In the midst of this misery, the Spirit brought together the Jesuit missionary, Jean Pierre Médaille, and a group of women who shared a compassion for their neighbors and a conviction that their own salvation, service to those in need, and proclaiming the glory of God were one and the same. Thus it was that, under the spiritual direction of Father Médaille, these women gathered in small groups to help one another in their quest for God and to reach out to the suffering people around them. He wished to form a new kind of religious community: a group of women who would profess simple vows, live in small groups, work to support themselves, have no property or social prestige, no patron, no external appearances or special works, and who would live and dress simply but in a manner appropriate to their circumstances. They would dedicate themselves to the most perfect love of God “with their feet in the street” to serve their neighbor in all the corporal and spiritual works of mercy, without distinction. A compassion for their neighbors and a conviction that their own salvation, service to those in need, & proclaiming the glory of God were one and the same. It was a diverse group, these women who gathered with Father Médaille. Francoise Eyraud hardly knew the alphabet, but at 39 was administrator of a hospital for orphans in the Montferrand district of Le Puy. She served as superior of the new community for 30 years. Clauda Chastel, a war widow, was the only one of the group who could read and write. Marguerite Burdier, 26, could read and was learning to write. Anna Chaleyer, 46, was the oldest of the group. Anna Brun was 15 and an orphan. Anna Vey was also 15 and possibly an orphan. All made ribbon and lace that gave them some income to support themselves. In turn they taught the orphans to make lace and ribbon. 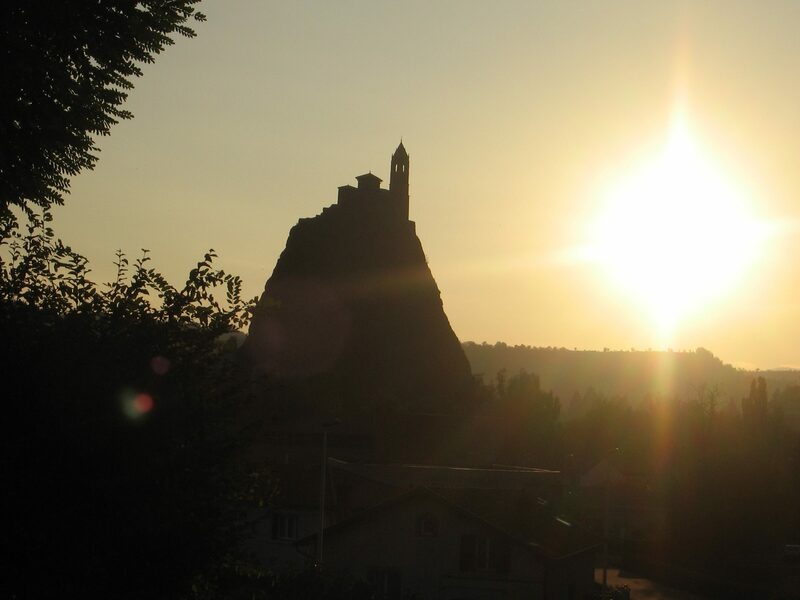 In the Reign of Terror, nearly all of the sisters at Le Puy were imprisoned and expelled from their property for over twenty years. 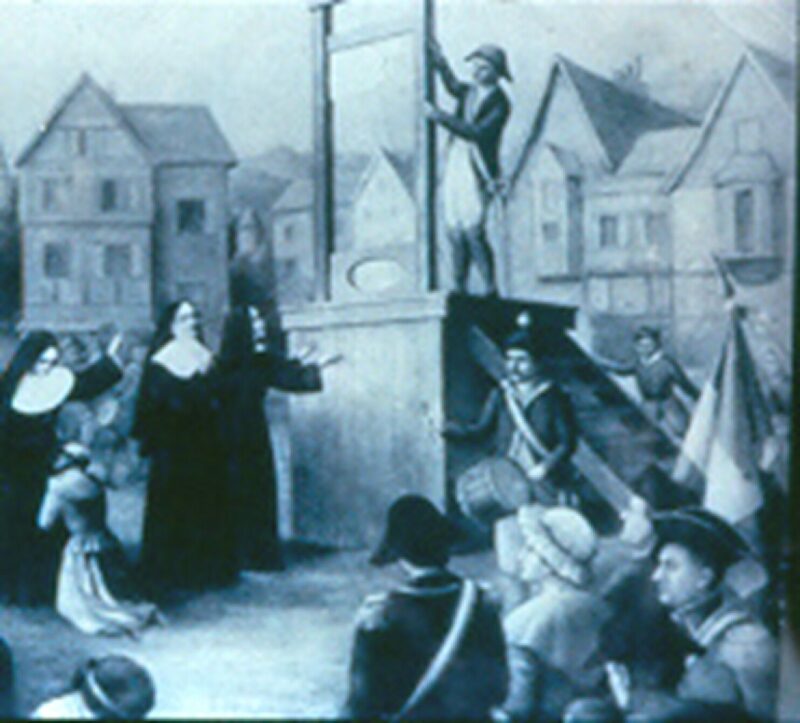 They were brought before kangaroo courts and on June 17, 1794, Sisters Jeanne Marie Aubert and Marie Anne Garnier were guillotined. Mother St. John (Jeanne Fontbonne) and her companions escaped the same fate only by hours. They returned home to their families for over twenty years, remained in hiding or simply disappeared into French society. The community grew and prospered for more than 100 years until The French Revolution brought violence and death to the lives of the Sisters of St. Joseph because they refused to take the Oath of the Civil Constitution of the Clergy which separated the Church in France from papal authority. The French government would appoint all bishops. For this refusal, and the consistent theme of the early history of the Sisters of St. Joseph – their faithful identification with the common people, the Congregation was outlawed, the right to teach was withdrawn as the sisters were denounced as unpatriotic, and enemies of the people and the Revolution.There was a great need for the presence of religious women to respond to the great post-­Revolution needs of France. Cardinal Fesch of Lyons saw the need for a group of religious women to respond to these needs. Mother St. John was made known to him and he immediately sent a messenger to her at her father’s home to ask her to accept the mission of the re-founding of the Sisters of Saint Joseph. Mother St. John was awed and troubled by the magnitude of this mission. But strengthened by her extraordinary faith and courage in God, she responded to Cardinal Fesch and arrived at Lyons on August 14, 1807. Like the founders of the 17th century, she guided the sisters in seizing every opportunity to serve God and the dear neighbor. They ministered to the sick, the elderly, and youth. They founded hospitals, schools and orphanages. But Mother Saint John was open to a wider vision of the needs of the dear neighbor. In 1834 Bishop Rosati of St. Louis, Missouri wrote to the Vicar General of the Archdiocese of Lyons requesting religious personnel. Mother St. John Fontbonne made an appeal to the Congregation to pray and weigh the matter well of personally going to America. A small valiant group left Lyons on January 4, 1836 and took 49 days to cross the Atlantic Ocean. They traveled up the Mississippi River and on March 25, 1836 arrived in St. Louis. They established a house in Carondelet. The sisters, like their neighbors, suffered material hardships of poverty, fever, and flood but were undaunted in their mission for the dear neighbor. They began a school in the rear of their cabin and taught Native American children as well as children who were hearing impaired. When the first Sisters of Saint Joseph arrived in Boston, they found a city filled with new immigrants from Southern and Eastern Europe who had joined the Irish immigrants, the major immigrant population of the city, from the 1840s to the late 1870s. Boston in the late 18th century was not unlike the 17th century France of their roots. Unemployment, poverty, illness marked the daily life of working classes. The same climate of social injustices that characterized LePuy existed in Boston. The pioneer Sisters who came from Brooklyn were Regis Casserly, Claire Corcoran, Mary Delores Brown and Mary Felix Cannon. Under the leadership of Sister Regis Casserly, they arrived at St. Thomas Parish in Jamaica Plain. There they settled in the five-room house Father Thomas Magennis provided for them. Four days after their arrival the sisters opened an elementary school for girls in the basement of the church. 200 students applied the first day. 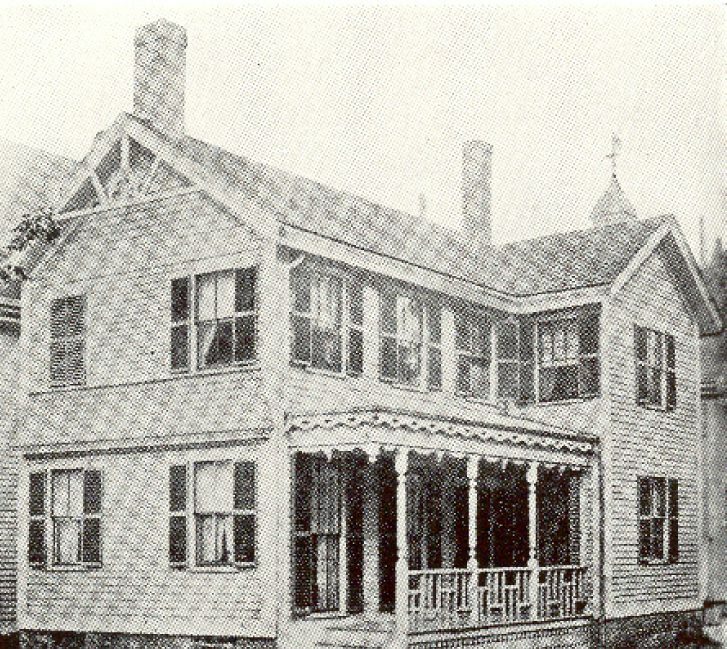 By 1877, with the acceptance of 30 boys, St. Thomas School became the first co-educational Catholic school in New England. Education became a most effective vehicle for the sisters to carry out their mission. In the Archdiocese of Boston, the sisters opened, staffed, and/or sponsored over 125 educational institutions, including schools for children with special educational needs. However, the needs of the people, in an era predating social security, pension plans, health care programs, and government involvement in social services, extended far beyond education. In response to Archbishop Williams’ request, the sisters worked to alleviate language and ethnic differences and to integrate new people into society. Sisters of St. Joseph, Sister John Berchmans and Sister Elizabeth, were among those who volunteered to care for people during the influenza epidemic of 1918. Oftentimes the sisters responded in hidden and unnoticed ways to the needs of the Dear Neighbor by alleviating language and ethnic differences; addressing the problems of homelessness; working with the ill and dying in the 1918 influenza epidemic; feeding the hungry at kitchen doors during the depression of the 1920’s and 30’s; nurturing the minds and souls of young children, teenagers, and college women; teaching the deaf; instructing the blind, and ministering to the needy and disenfranchised. They addressed the problem of homelessness by advocating for assistance and of the elderly by providing a peaceful environment, comfort, security, companionship, shelter and food. The sisters offered working “girls” a protected secure home away from home, as well as opportunities to improve their economic position. They provided loving supervision, education, and moral and spiritual training for children whose only option was to move into the workforce at an early age. Over the next hundred years the sisters labored to provide an alternative education system based on Christian values and striving always for excellence tempered with gentleness. As the need for higher education for women became apparent, the sisters provided resources and sisters who would help to realize that dream. During this period the Congregation of the Sisters of St. Joseph grew rapidly and once again, the sisters responded to a wider vision of the dear neighbor. In response to a request from a priest serving in New Mexico who was originally from Lynn, MA, four Sisters of St. Joseph of Boston were missioned to New Mexico to teach in parish schools. Since that time sisters have ministered in Santa Rosa, Santa Fe, Albuquerque, Clovis, and Springer, New Mexico. The U.S. Federation of the Sisters of St. Joseph began in 1966. The Sisters of St. Joseph of Boston are part of this dynamic union of all the Sisters of Saint Joseph of the United States who claim a common origin in the foundation at Le Puy, France in 1650. Today there are approximately 6,500 vowed members as well as 2,800 Associates in the United States who are part of 16 congregations. Globally there are over 12,000 Sisters of Saint Joseph in over 52 countries throughout the world. Sisters of St. Joseph of Boston Associate Program began in 1985. The Associates are women and men called to share their faith journeys with one another and with the Sisters of St. Joseph. They are drawn to live the spirit and spirituality of the Congregation and desire to share in its response to the changing needs of the Church and society. During the 1960s, 70s and 80s the Sisters of St. Joseph were called by the Church to embrace the profound changes that emerged from Vatican II, both in the Church in the modern world and in the renewal of religious life. In 1989 the Archbishop of Boston approved the new Constitution of the Sisters of St. Joseph of Boston. 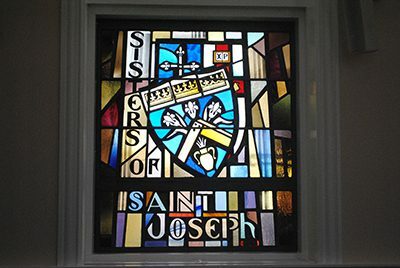 In responding to the Church’s mandate to reclaim their foundational purpose and spirituality, the Sisters of St. Joseph discovered that they had always been intuitively ‘at home’ with the founding sisters’ dream to work to achieve unity and reconciliation wherever people are separated from each other. They confronted each new issue as it surfaced and embraced vital issues of justice and peace. Sisters of St. Joseph celebrated 125 years in the Archdiocese of Boston. To mark this anniversary plans were begun for a new corporate ministry in the city that would reach out to the neighbor in a manner similar to that of our sisters who came to Jamaica Plain in 1873 as well as our first sisters in seventeenth century France. In January, 2000 a house was purchased on Stellman Road in Roslindale, a multi-cultural neighborhood with many new immigrants. Stellman Road is in close proximity to the Jamaica Plain area where our first sisters ministered. The house was named Casserly House for our Boston Foundress, Mother Regis Casserly. The mission of Casserly House is to be a presence in the neighborhood, listen to needs, and respond where possible. The Corporation for Sponsored Ministries of the Sisters of St. Joseph of Boston was established to ensure that its mission and charism perdure in the Church and world. This model entrusts governance of nine ministries sponsored by the congregation to individual boards of trustees with oversight by the Corporation for the Sponsored Ministries. Through this oversight, the Congregation continues to have specific and significant influence over the mission and quality of ministry of each of the sponsored ministries. Like those of the founding sisters, the present days together are marked by paradox and tension. In a world growing smaller every day, we sisters are confronted with the horrible gaps between the rich and the poor, the enslaved and the free, the old and the young. Families and nations alike are estranged from one another. As progress in the areas of technology and communication, the effects of globalization on the poor and the threat of nuclear holocaust vie for attention, we feel anew the call of our charism, to be women of unity and reconciliation. Today, as women attracted to this vision, we continue to live among the people and offer our lives in love and service. We Sisters of St. Joseph of Boston carry on the heritage of our foundresses, six French women who joined a Jesuit priest in 1650 to begin a community without cloister or habit, devoted to the needs of their neighbors. Today we continue our profound desire for union with God and the “dear neighbor”. The tradition of loving service that began in Le Puy, France, during the mid-seventeenth century and continued in Boston in 1873 sustains us as we live into the twenty-first century. Instinctively, we identify with the cries of a world stunned by violence to reopen communication in divided communities, to search for shared values, and to empower individuals to explore common ground for the healing of humankind.